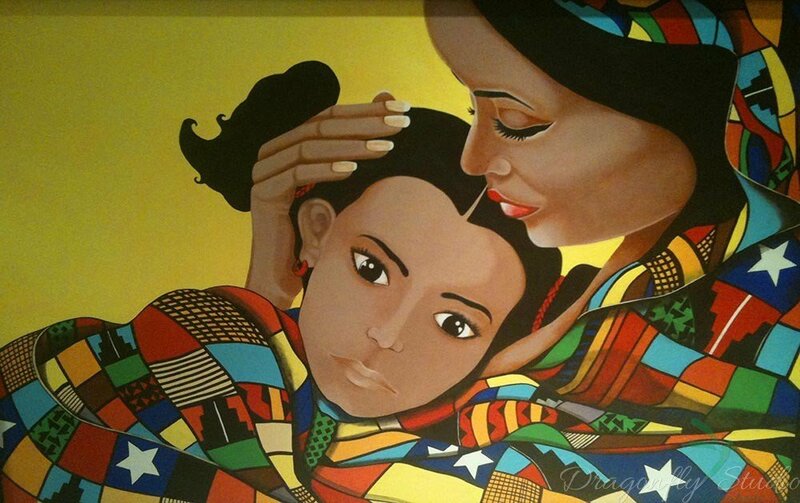 Medium: Latex acrylic paint on wood. 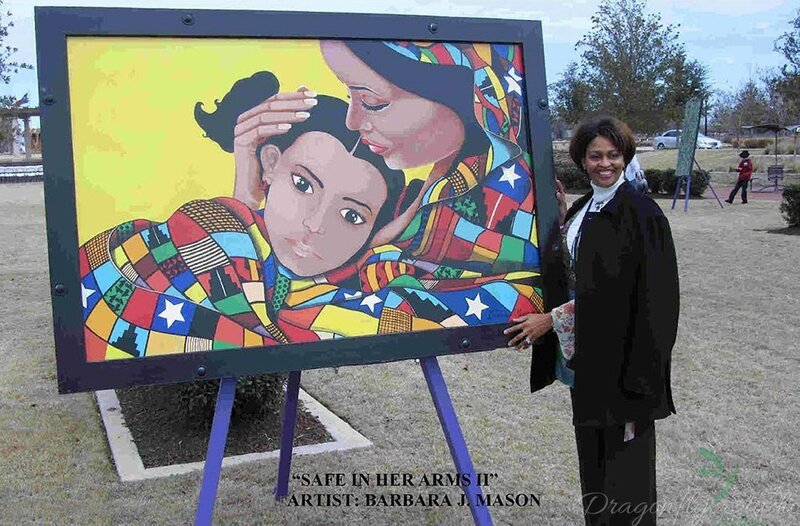 I was one of four artist commissioned by Newman Village to create outdoor public artwork for the Newman Village Plaza. 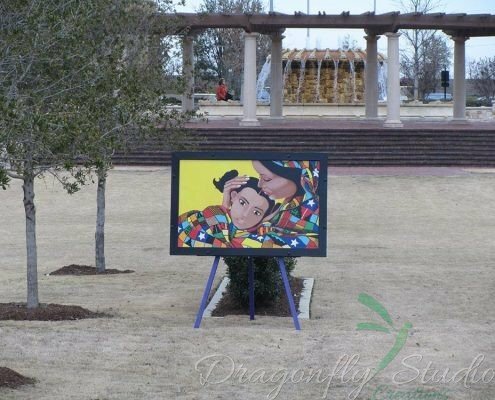 I chose a theme that would represent the multicultural environment and sense of family and unity that surrounded the Newman Village community in Frisco, Texas. 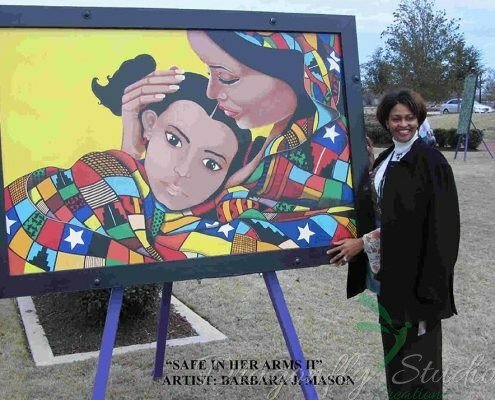 The child in my painting “Safe In Her Arms II” is wrapped in a blanket that has designs, and fabric colors represented locally and internationally. 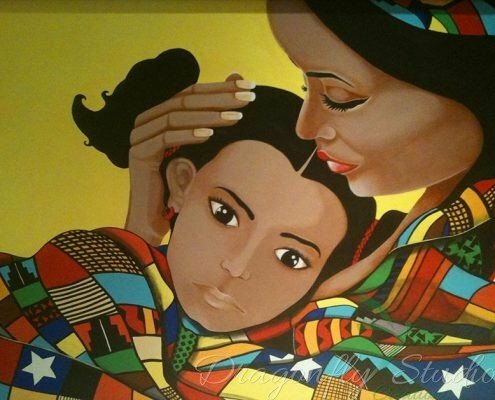 The mother in the painting represents the Newman Village community welcoming and embracing an all-inclusive living environment and culture. 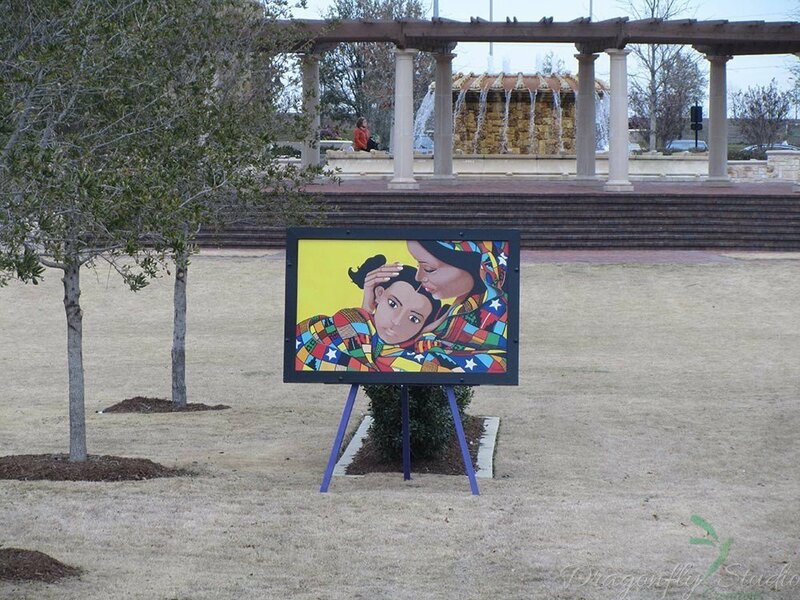 This artwork remained outside on the Newman Village Plaza grounds for 4 years. 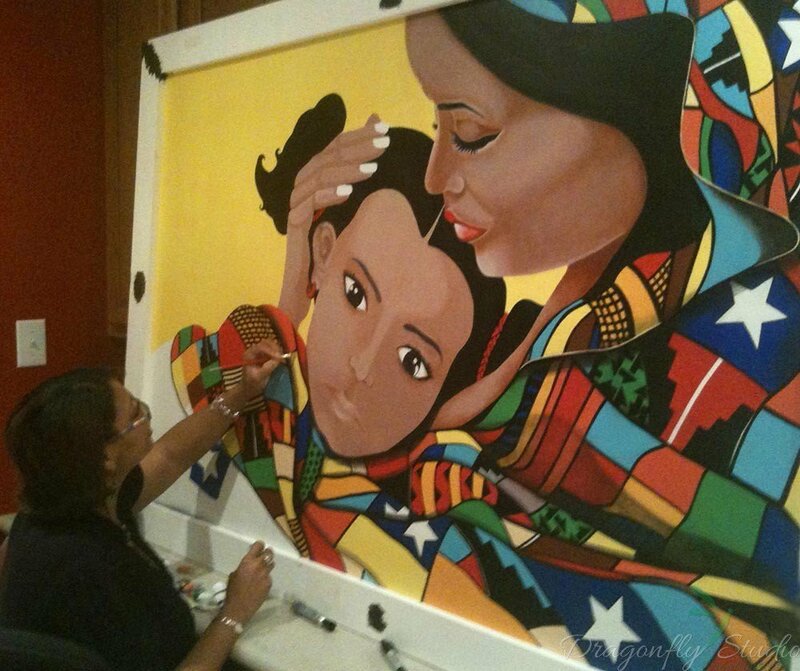 Want a custom original for your place of business?